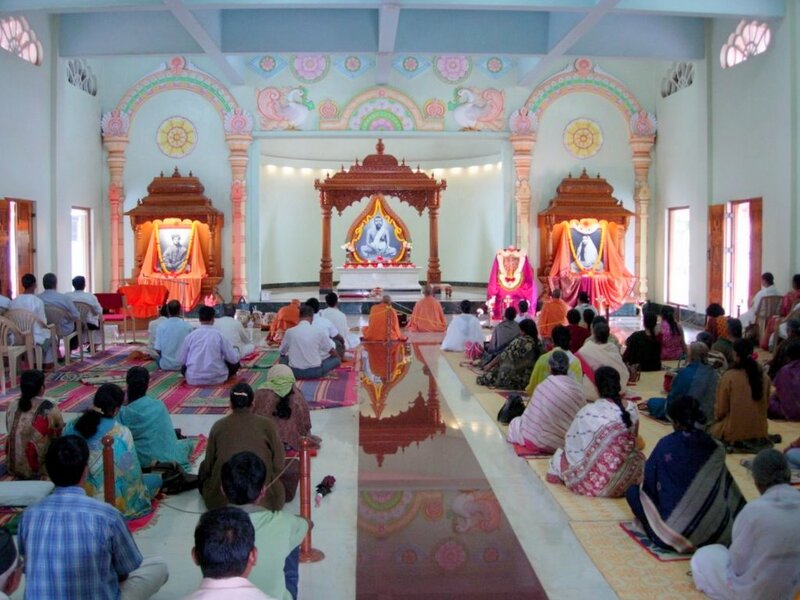 Japa Yajna is a five-day spiritual camp in the serene surroundings of the Ashrama. It is specifically meant for those devotees of Sri Ramakrishna who have taken initiation (Mantra Deeksha). 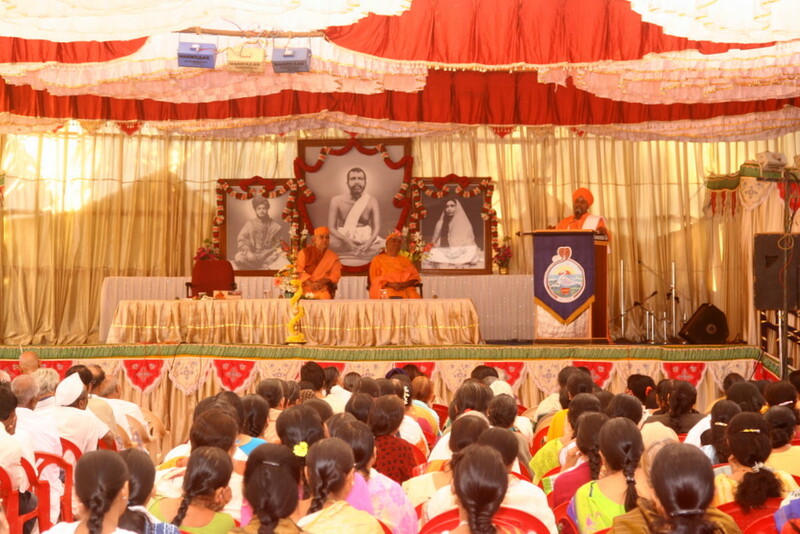 It provides them an opportunity to practice spiritual disciplines in the holy atmosphere of the Ashrama sanctified by the visit and stay of Swami Vivekananda. During their stay the participants are to complete telling their beads (Japa) one hundred thousand times. This programme is interspersed with Bhajans & Sankeertana, readings from ‘the Gospel of Sri Ramakrishna’, spiritual discourses, etc. The Ashrama makes arrangements for their food and stay without any charge. There are several devotees who receive Mantra Diksha from the Ramakrishna Mission. Many are unable to undertake regular spiritual practice due to pressures of work and worldly duties but are nevertheless eager to discipline their minds and direct it to God. Japa Yajna provides them an opportunity to mould their spiritual life through solitude, satsanga and singing, as exhorted by Sri Ramakrishna, and learn to “apply oil onto their fingers” while dealing with this sticky world. The Ashrama conducts regular classes on the weekends on spiritual topics. Spiritual retreats are held every Sunday morning from 10:30 am to 12:00 pm. Bhajans, Conducted meditations and lectures on what constitutes Spirituality and Spiritual life form the mainstay of Spiritual Retreats. 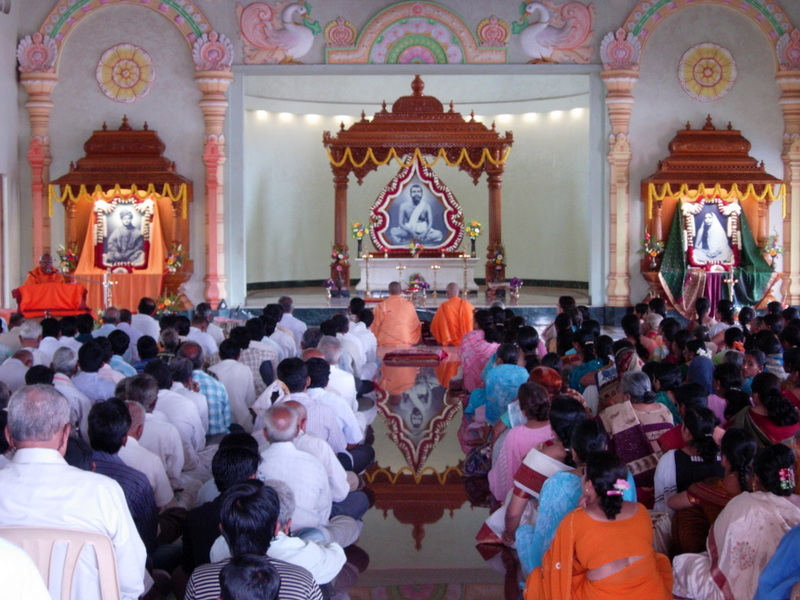 On Sunday evenings a discourse on the Bhagavad Gita is also held. Many times the Monastics deliver lectures outside the Ashrama premises on invitation. Devotees and certain study circles invite the monastics for satsanga and to address an audience from various sections of society. The monastics lecture on our glorious spiritual Indian heritage, the necessity, significance and benefit of leading a moral, religious and spiritual life. In their addresses they highlight Swami Vivekananda’s all-inclusive vision of the destiny of mankind, the razor-edged path that Sri Ramakrishna traversed and qualities of the highest Karma-Yogin found in the quiet yet intensely divine life of Sri Sharada Devi. Dwelling on their divine qualities and deeply contemplating on them one in course of time begins to manifest those qualities. Spi rituality is the essence of Indian religious life. If the kernel of Spirituality is not encased in the protective layers in the form of Puja, Ceremonials, observances of festivals etc probably preliminary levels of spirituality and moral culture could never be efficiently communicated and propagated. Moreover these observances place us in touch with the Divine qualities of the Lord – the All-Pure and purifying, All-Powerful yet Merciful, All-Knowing yet infinitely Loving. These observances provide us an opportunity to mould our lives accordingly after meditating on the lives and deeds of Incarnations and saints as well as the fate of those who opposed them. 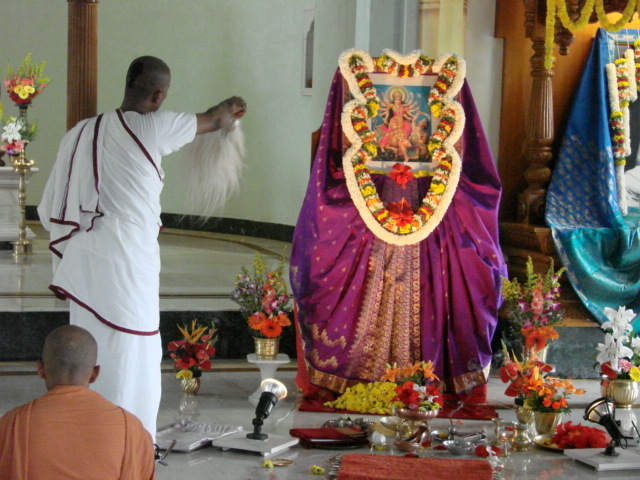 Jayanti Celebrations of Sri Ramakrishna, Sri Sarada Devi, Swami Vivekananda and sixteen Direct Disciples of Sri Ramakrishna; Durga Puja, Ganesha Festival, Navaratri, Krishna Janmashtami, Rama Navami; Ekadashi, Shivaratri.